To provide the needs and to secure the family's future. This is the most common reason why many Filipinos decide to work abroad. 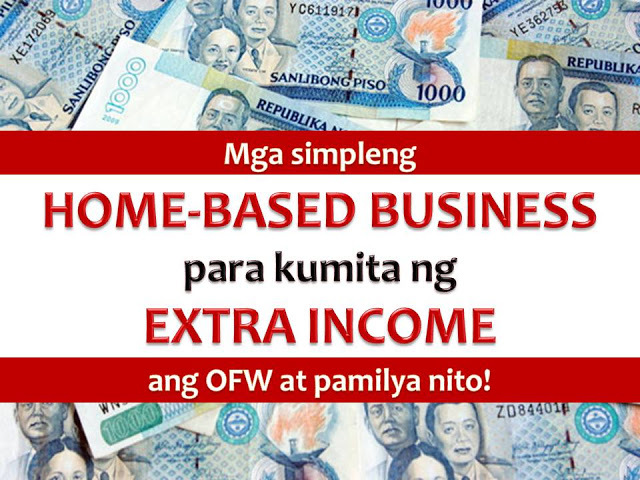 But as an Overseas Filipino Workers (OFW) working overseas is not just about securing our family's needs, it is also about protecting ourselves and preparing for our own future or retirement. 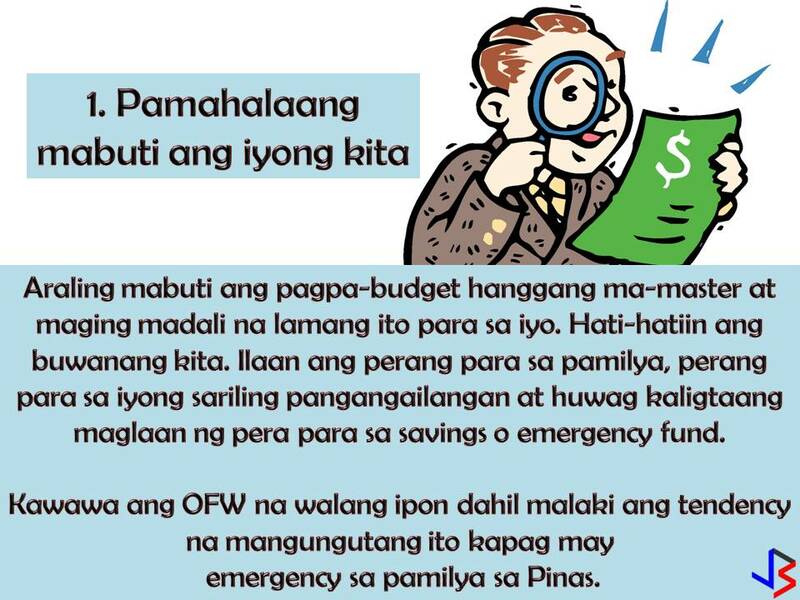 For OFWs, saving money is not enough, we should invest and make our money works for us in the future. How can we do this? 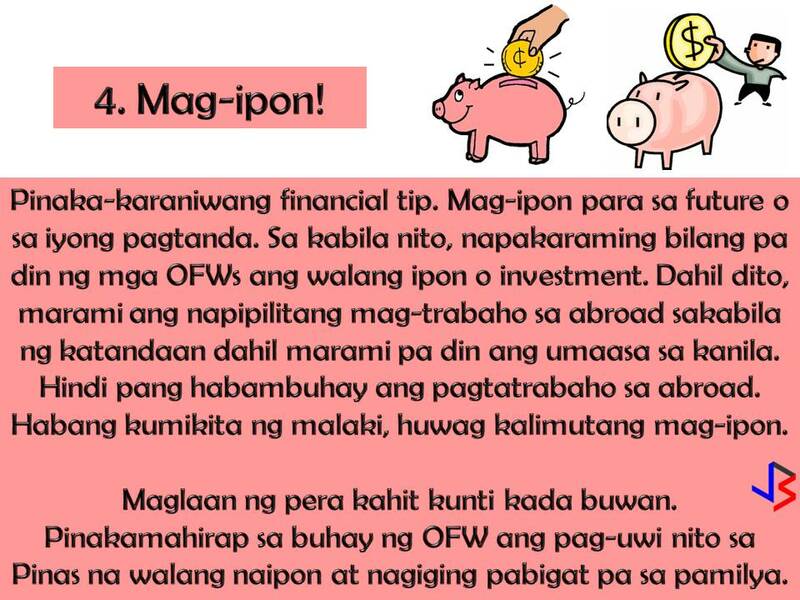 By hard work and discipline and of course by following this four effective financial tips especially made for OFWs. Yes, your family back home needs the money, but it does not mean you will send all your salary to them. As the one who earns, it is important that you master how to segregate your earnings. Set a portion of your salary for your family, for your personal and basic needs like daily expenses, for your bills and the most important for your savings or emergency fund. By doing this you need to master self-discipline when it comes to money. 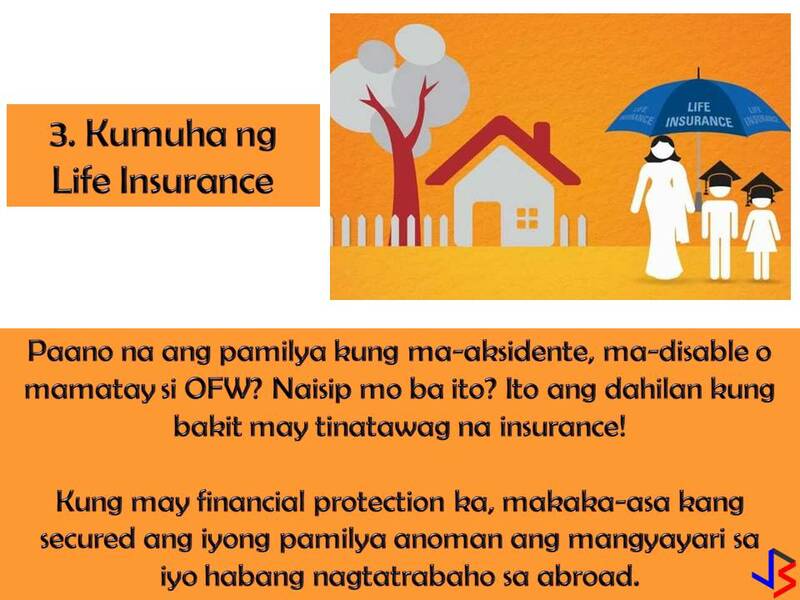 This is the number one key not just for your own personal protection as an OFW but also for your family's future. 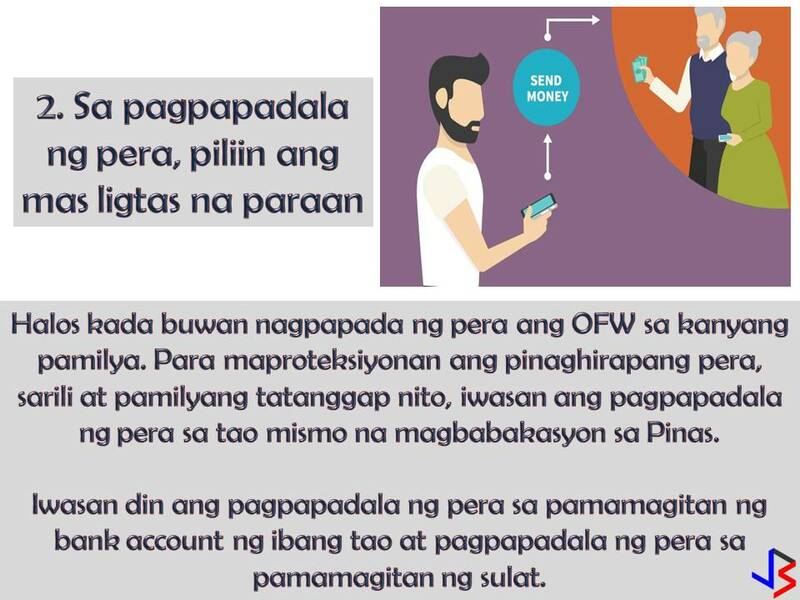 Physical transfer through people or "padala"
There are many credible banking institutions nowadays that offer remittance services that you can fully trust. With this, you are not protecting your hard-earned money, but also yourself and your family back home. Have you ever wonder what will happen to your family in case of your disability or untimely death? This is the main reason why insurance exists. If you have financial protection, you are confident that your family is secured whatever happens to you while working abroad. 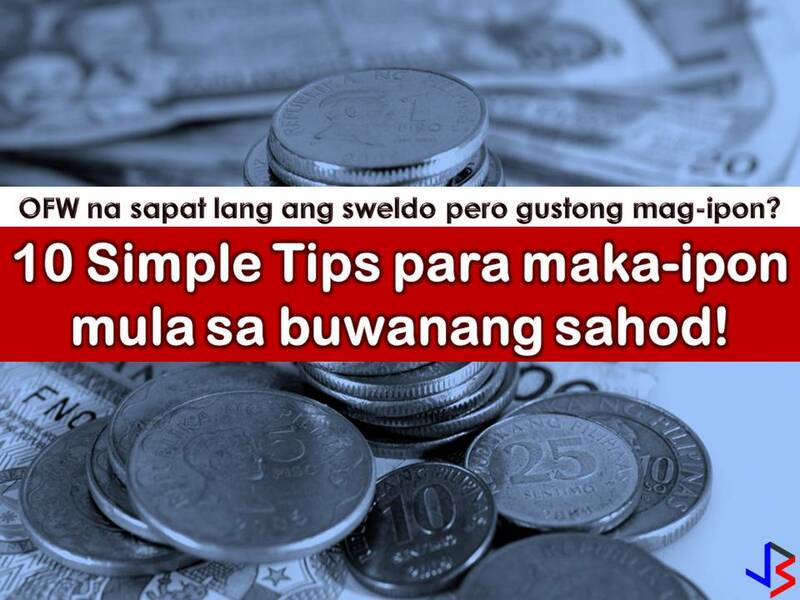 This is a very common financial tip. To save for the future. 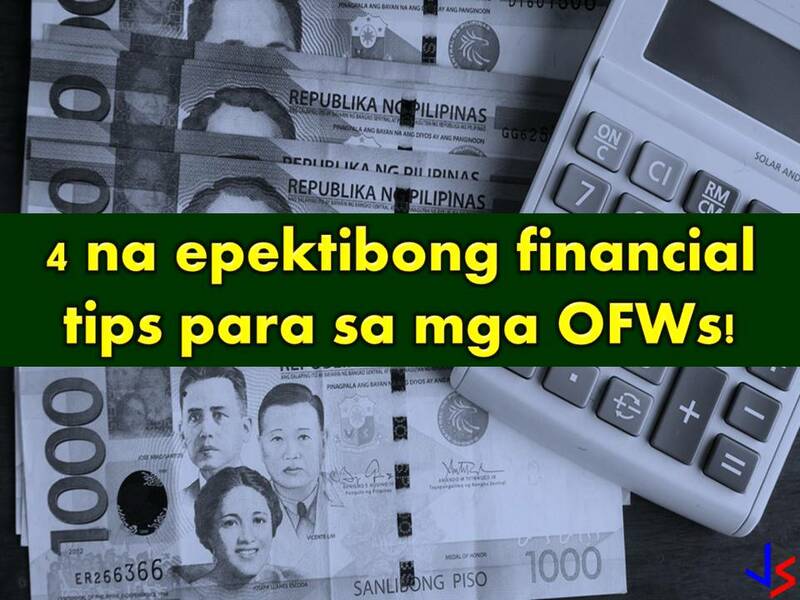 But unfortunately, many OFWs end up without savings and still working in spite of old age because of the family back home that still depends on their earning. Do not ever think that working abroad with a big salary is forever! While earning big, save money for emergency funds. It is hard to be away from your family but it is harder if you cannot support yourself when you are old and no longer capable of working. Make sure to set aside even a small amount every month. Pay yourself first before paying for anything else.